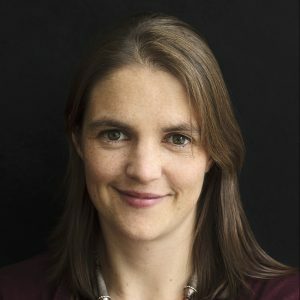 Dr. Caroline Buckee is an Associate Professor of Epidemiology and Associate Director of the Centre for Communicable Disease Dynamics at Harvard T.H. Chan School of Public Health. Her work is focused on understanding the mechanisms driving the spread of infectious diseases that impact the most vulnerable populations worldwide, particularly malaria. Before coming to Harvard, Dr. Buckee completed a D.Phil. at the University of Oxford, and Omidyar and Wellcome Trust fellowships at the Santa Fe Institute and the Kenya Medical Research Institute, respectively, where she analyzed malaria parasite evolution and epidemiology. Dr. Buckee’s group uses a range of mathematical models, experimental and genomic data, and “Big Data” from mobile phones and satellites to understand how human pathogens spread and may be controlled. Her work has appeared in high profile scientific journals such as Science and PNAS, as well as being featured in the popular press, including CNN, The New Scientist, Voice of America, NPR, and ABC. Dr. Buckee was featured as one of MIT Tech Review’s 35 Innovators Under 35, a CNN Top 10: Thinker, and Foreign Policy Magazine’s 100 Global Thinkers.